Rodney Hide continues to support a realistic view of dangerous anthropogenic global warming. That’s religious zealotry in action. Science is never that certain. The best-ever scientific knowledge was Newtonian mechanics. And Einstein blew it to bits. That’s the nature of science. He goes on to show how Renwick’s theory is falsified. It’s the right stuff. Dr James Hansen, former respected space scientist, “father” of global warming, now an unrepentant (now full-time) activist warning of nothing less than the imminent “destruction of the world” — which at one time was the very definition of ‘crank’. It is quite difficult to destroy the life in the world and it shows no sign of becoming easier. Yesterday, Dr Vincent Gray sent out his Climate Truth Newsletter (no. 310). 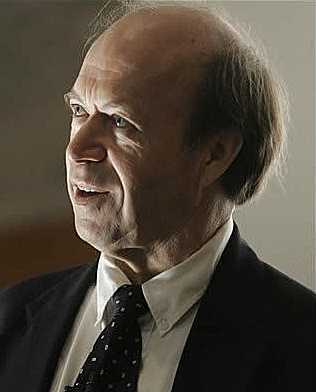 In it he adverts to an outrageous admission of common sense by James Hansen. Years ago, Hansen admitted on his GISS web page that there’s no agreement among scientists on what constitutes an acceptable surface air temperature. Sensationally, he also said that it’s IMPOSSIBLE to obtain a scientifically meaningful surface air temperature (SAT). The link above to the previous version of the page at the Wayback Machine is from 15 October, 2008, but that page is marked as last updated on 12 July, 2005. There are three more words in the body text of the current version than on the old page; I conclude they’re essentially identical.